Nepeta fassennii “Six Hills Giant”: Catmint. This is a bee magnet. Great for dry, sunny spot. Silvery foliage and lavender flowers. Give it a lot of room. 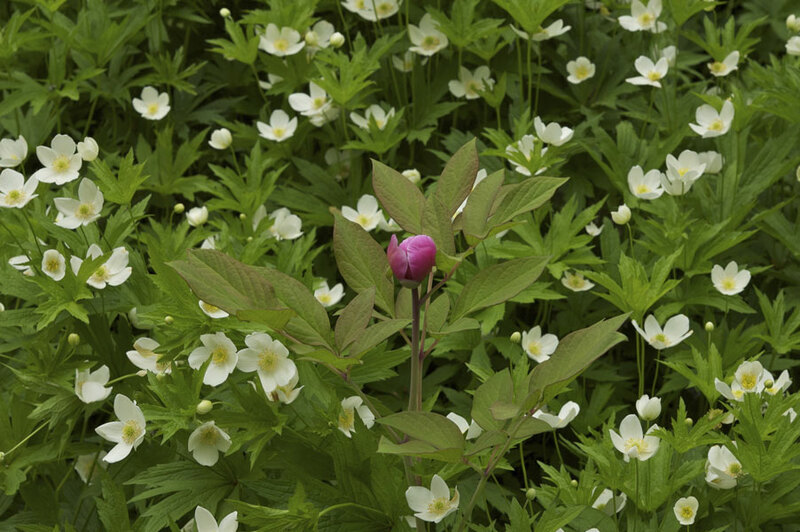 36″ w x 30″ h.
Anemone unknown species: Charming white flowers. 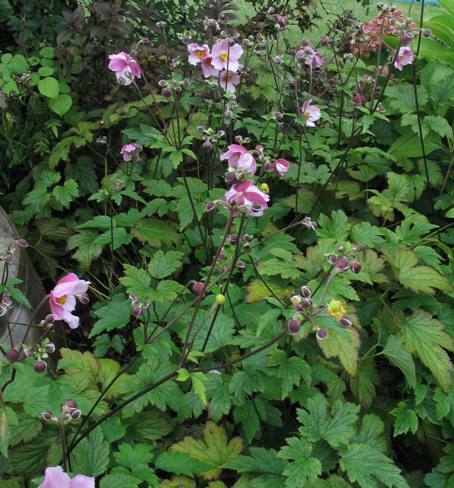 Great ground cover for moist spots. Spreads very easily so be careful where you put them. 12–16″ h.
Digitalis ambigua grandiflora: Yellow Foxglove. Dependable garden and cutting flower. I love seeing bees crawl into these flowers. Anemone tomentosa “Robustissima”: Wind Flower, Japanese Anemone, or Grape Leaf Anemone. Graceful flowers. Could be invasive. 36″w x 36″h. 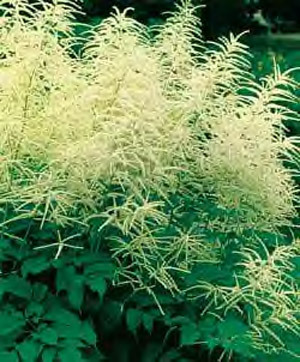 Aruncus dioicus: Goat’s Beard. Good background plant. Attracts beneficial insects. 36″w x 48″h. They are all flowering right now, so after they finish, I can cut down the stems and divide the plants for anyone who wants them.